Being such a big fan of all things oriental, I have been keen to try Korean food for some time. However having had many people tell me that its bets to eat Korean food with someone who knows what to order, I was always a little sceptical about organizing dinners. So a few weeks back after much talk about my keen-ness, a friend finally listened and surprised me with dinner at a Korean place – Jin – in Soho. Now to say Im a Korean virgin would be a slight lie as a few years ago I had attended a dinner at Kimchee in Golders Green. However food was under ordered, the in-table bbq was in no way at arms length and I recall walking away feeling as hungry as I had been when I walked in. Luckily my visit to Jin was a little more successful. We tucked into a feast of, miso soup, kimchi (pickled, rotted vegetables), some sort of deep fried chicken and then the bbq’d meats (beef, chicken, prawns) and the rather interesting rice cooked in a clay pot. We were advised by our waiter that it would be best to order lettuce as a side. As our food arrived, o ur waiter cooked the meats on the in-table bbq and advised us when it was ready to eat. He then proceeded to teaching us the traditional way of eating. Namely you take a piece of lettuce, you dip your chosen meat in the bbq sauce, you place the meat in the lettuce, add some rice, chilli sauce (more for flavour than heat) and some kimchi if you fancy it, then role it up and savour the mix of flavours. So having acquired a taste for Korean food, I revisited Kimchee last night. This time we decided to go for the set meal and other than being extremely full by the end of the meal, I have no regrets! As well as the meats and Kimchee, we also tasted the very very yummy seafood pancake, which although rather heavy, would be great as the only starter to a meal and the glass noodle salad which was equally yummy. • I would definitely try the pancakes, obviously seafood, meat or veg at your own discretion. 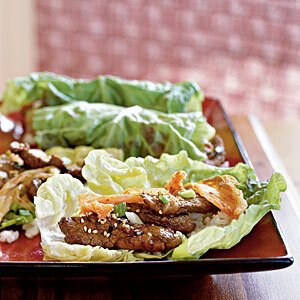 • Kimchee – I think the cabbage is the best, but try which ever you fancy. • The traditional rice cooked in the clay pot is a far better choice than the fried rice. 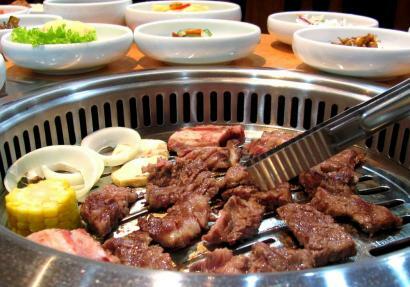 • A choice of the Bulgogi meats/seafood preferably spicy – although again the spice is simply for flavour rather than heat. My personal favourites are the pork and beef. • Then sides of lettuce and then spring onions or spinach as you fancy. • For a bit of a change, the glass noodles were quite nice, as was the soup, however the soup is only really necessary if you wish to eat the rice with the meat in the conventional way rather than the more traditional lettuce wraps. Last word on the topic, Korean food is extremely tastey but not the best choice for those on a budget, unless your dining with a few people and order the right amount. 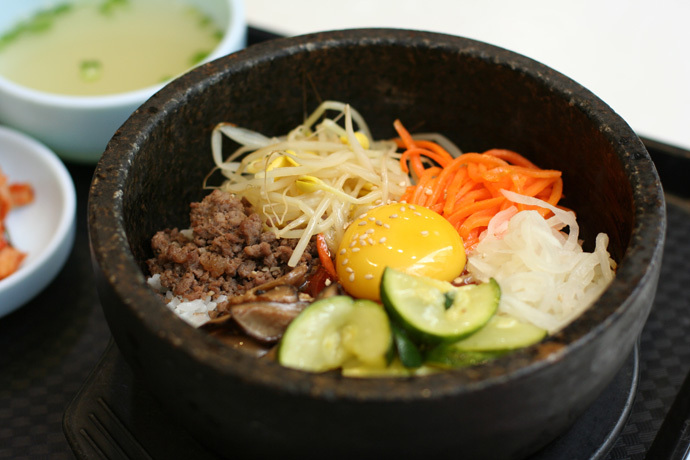 I’ve found my love for Korean food, go find yours!